As a freemium app publisher, monetization is the one core business that you have to consider in terms of ad revenue and in-app purchases; in the meantime analyzing the audience data and tracking the LTV and ARPU values is another core business to sustain and grow your application. In principle, monetize-analyze-grow is an infinite loop of sustainability. On the monetization part, ad mediation is a must for every publisher at a certain level of DAU (daily active users). Distributing the ad requests to various ad networks would provide a competition among those networks and increase the value of each ad request. There are several mediation solutions, where all assert the maximum eCPM and fill rates; though being unbiased, advanced transparent reporting and client (personal) based optimization should be the key factors in your decision-making process. On the other hand, you have to use an analytics tool to analyze your audience and focus on increasing the retention and growing your audience via user acquisition or organic growth. Lifetime value (LTV) and ARPDAU would be your two well-known metrics to set your growth strategy. To calculate those metrics, you have to correlate the monetization and analytics data from diversified tools/dashboards and reach totally estimated values rather than real calculations, where you need a dedicated man or directly yourself to do manually. Then, with estimated calculations, you have to decide your growth strategy. Too much effort, isn’t it? 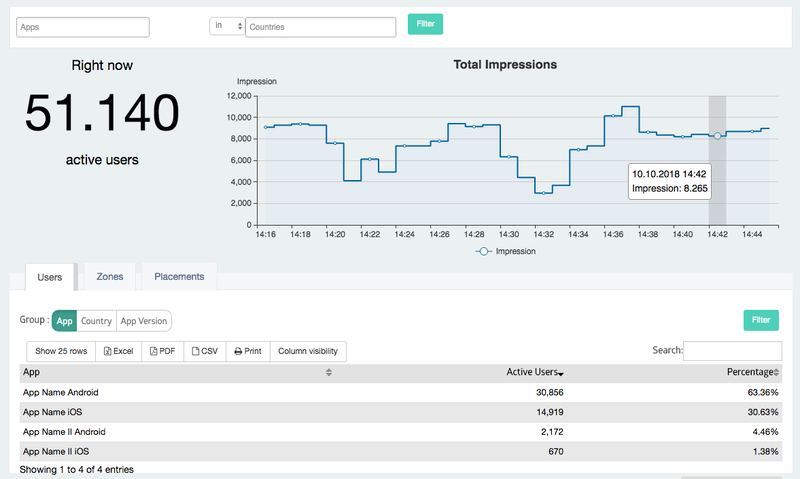 What if you have an ability to track both monetization and ad-related analytics with real data on a single dashboard via a single SDK? 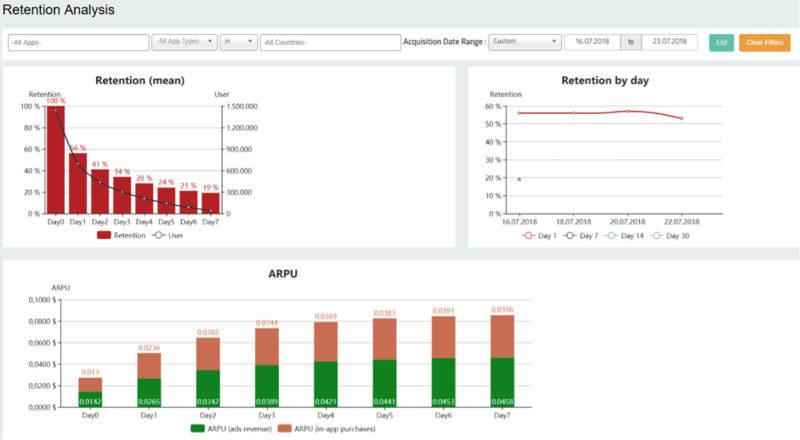 Admost Analytics is the first & only tool that allows analysis of users’ LTV and ARPU metrics generated on the back of each and every user’s in-app purchase & ad revenue data separately. Even if you’re making user acquisition or not, this feature provides you to optimize your country based ROI and user acquisition decisions with its detailed cohort analysis and real LTV and retention calculations. The real-time feature also provides instant request- impression per each ad zone, ad network and placement with instant active users numbers. 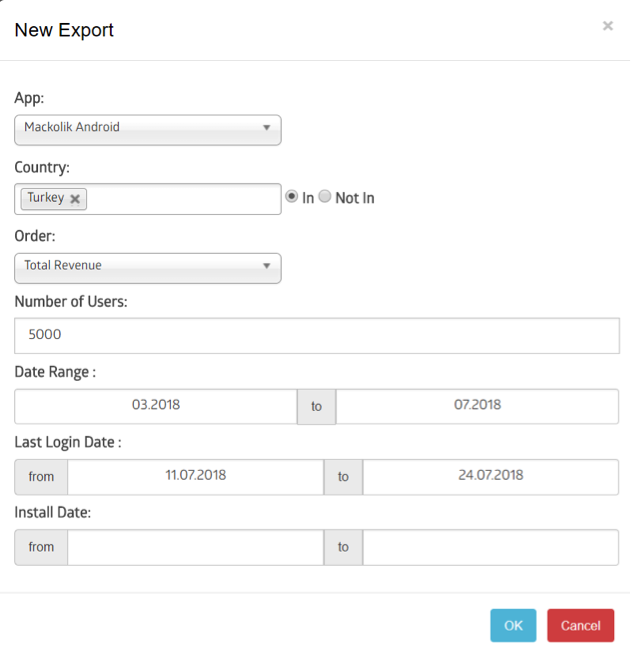 Analyze your in-app and ad revenue generated audience’s retention and LTV values separately on a country basis. Admost provides a detailed cohort analysis evaluating in-app purchase and ad revenue data separately or together with its multiple cohort types. With cohort analysis, you’ll transparently understand which GEOs to pay attention. You can track the detailed activity report of each user on your app. As a publisher-friendly monetization system, we identify our publishers as our partners rather than customers. Always endeavor to satisfy all monetization needs of the publishers without getting extra fees. With our dedicated technical and business teams, we would love to lend assistance to you. For further information, please contact amr@admost.com . Previous PostLost in the world of ads? Let us help you out!